1.) Tequila is a vital ingredient in margaritas. It is produced in Mexico, providing jobs for Mexicans and a strong export for the country. 2.) 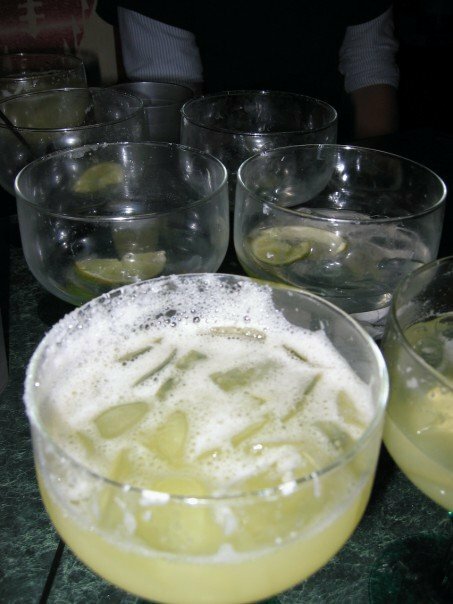 Margaritas are chock full of citrus, thus helping to protect their consumers from scurvy. 3.) It’s hard to stay tense and uptight with a jolly glass of margarita – even when it isn’t in a real margarita glass. 4.) More things should really be focused on me and my preferences and margaritas are pretty much the only way I enjoy tequila. I mean, it’s possible that I have done a tequila shot or two over the course of my long life, but that doesn’t mean I enjoyed it – either at all or as much as I would have enjoyed a margarita. 5.) Margaritas allow for adult theme dinners for the gluten-free demographic. Tacos and margaritas are the celiac-friendly alternative to pizza and beer.